Combining business travel with leisure trips is a growing trend across Europe. Called ‘bleisure’, the mixture of business travel and personal holiday time increased by almost 50% in the last year. Business travellers who added a Saturday night stay at the end of their business trip rose 20% in 2017. Although bleisure trips can be good for employee morale, they can also make it more complicated to claim VAT refunds from your business travel expenses. The difficulty arises because there are very different rules for personal VAT reclaim versus business VAT returns. Your business will need to submit your business VAT reclaim application entirely separately from you (personally, as an individual) submitting your personal VAT return. The entities need to be submitted separately, under different processes with different details, so that you can be sure that both meet the requirements for each type of foreign VAT refund. 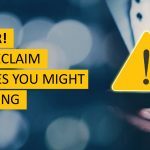 Here are the main differences between claiming a VAT refund on personal and business travel expenses. 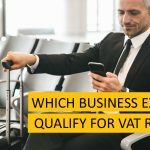 When your business requests a VAT reclaim on business travel expenses, the business can claim VAT on both the goods and the services. But when it comes to personal holiday time, you, as an individual, can only make a VAT return for goods. That can make a big difference to your total VAT refund. It also makes your VAT return more complicated, since it’s frequently difficult to determine which purchases count as ‘goods’, and which are considered ‘services’. In practice, this means that your business can request a VAT refund on the business traveler’s taxi ride to the trade show (it’s a service, but it’s still a legitimate business travel expense) but that same traveler can’t make a VAT reclaim for the taxi ride to the museum or nightclub after his business responsibilities end, since it’s a personal expense, so it’s not claimable. If you’re a leisure-based tourist visiting the EU from a non-EU country, you’re entitled to submit your personal VAT reclaim on the goods you purchase during your stay. But there’s no option to request a VAT refund if you’re a tourist who’s a resident of another EU country. In contrast, business travellers can make a foreign VAT reclaim on their business travel expenses, even if they are EU residents visiting another EU country. For example, Steve from the US goes to the Netherlands for a trade show from Wednesday to Friday, and stays an extra couple of nights as a tourist. His business can submit a VAT return claim on his hotel room costs for the first two nights of his stay, because it’s a business trip. Steve can also claim a personal VAT return on purchases that he makes during the leisure part of the visit. But if Pablo from Spain does the same thing, he’ll only be able to submit a VAT return claim on his business travel expense list, because he’s a resident of another EU country. How much time passes until the goods leave the EU? If you buy goods in the EU as a tourist and make a VAT reclaim, your purchases have to leave the EU within three months. For example, if you buy a designer evening dress in Amsterdam on June 18th, you have to take it out of the EU no later than September 18th to qualify for a VAT refund. However, if your business makes a purchase in an EU or other foreign country, there’s no equivalent time limit. You also don’t have the same deadline for VAT refunds if you buy something as part of your business travel. If you’re making a business travel VAT reclaim, you can do all the paperwork when you get back to the office. EU residents need to submit their VAT return before the deadline – usually September 30th of the following year. For non-EU residents, though, there are different VAT return deadlines depending on your country. If you’re claiming a personal VAT refund, you’ll have a shorter time limit. You need to complete the paperwork to claim your VAT refund before you leave the country. You might be able to do this in the shop itself, or at the border control of the last EU country that you leave. Although the regulations make it a little more complicated, you shouldn’t give up on the VAT refund you deserve. For the complete story on recovering VAT on personal and business travel expenses, download our eBook.